Born at Norton, Derbyshire, he originally trained as a woodcarver before taking up portrait painting, and became a sculptor after marrying a rich cousin. Now able to finance the building of his own studio, he achieved major success with a bust of the radical reformer, John Horne Took (1811), and thereafter received commissions for portrait busts, monuments and full-length portrait statues. These include George Washington, Boston, USA (1826), William IV, Trafalgar Square, London (1829) and Sir Thomas Munro, Madras, India (1838). According to Grant's Dictionary of British Sculptors he produced five portraits of the inventor and engineer, James Watt (1732-1819). These include the Sic Sedebat (trans: Seated), marble portraits in Handsworth Parish Church, London (1824), the Hunterian Museum, Glasgow (1830), the Watt Library, Greenock (1830), and in Birmingham. In 1832, he produced a further seated statue of Watt for Glasgow's George Square. Cast in bronze, it cost �3,454. 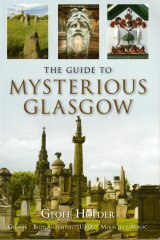 His only other recorded work in Glasgow is the monument to Mrs Londes in Glasgow Cathedral (1819). Although he "never received an hour's instruction from any sculptor in his life" ( Gunnis ), he was one of the most successful and prolific sculptors of his day, building a foundry to maintain his own exacting standards in bronze casting, and teaching the next generation of sculptors and carvers at his London studios, including the Mossman 's. Elected ARA 1815, RA 1818, he exhibited at RA 1804-42, and was knighted in 1835. A portrait of Chantrey, by Raeburn, hangs in the McLean Gallery, Greenock.